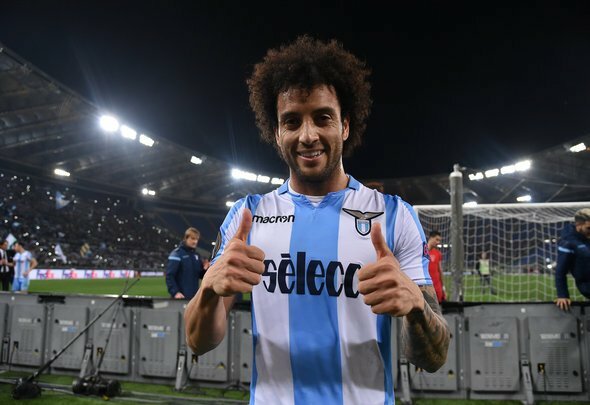 West Ham have made a major stride towards completing the blockbuster signing of Brazil international Felipe Anderson from Lazio as they have now applied for a work permit, according to Daily Mail reporter Lee Clayton. The reliable journalist claimed on his personal Twitter account on Wednesday that the Hammers have agreed a fee with Lazio worth an initial £37million, that could rise over £40million thanks to add-ons – smashing the current club record signing of £22million on Issa Diop that was set earlier this summer. Anderson scored eight goals and supplied 10 assists in 32 appearances across all competitions for Serie A club Lazio last season. Anderson is a top-quality player and will transform the West Ham attack into one that will be feared by even the most resolute defences in the Premier League. He has pace, he has great technique and has the ability to find the back of the net himself, or carve an opening for a team-mate. West Ham have already signed Andriy Yarmolenko from Borussia Dortmund to improve their attack force, but Manuel Pellegrini will be pulling off an absolute masterstroke by also bringing in Lazio’s Brazilian ace. David Gold and David Sullivan have really proved that they mean business this summer. It’s hard to see how Anderson could fail to pick up a work permit having already become a full international for Brazil and having played in Italy since 2013. This transfer swoop is starting to gain more and more momentum and looks as though it will be finalised very soon.